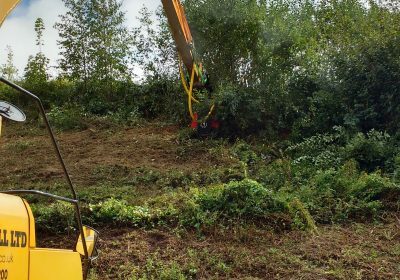 To clear vegetation on the Juliet Bund on the western end of the airfield to ensure safe flying conditions at the airport. The Juliet Bund is an ‘L-shaped’ mound of earth approximately 500 metres long and 1o metres high. 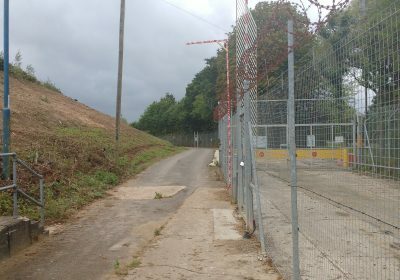 The bund is in place as a noise and visual barrier protecting the road and neighbouring properties from aircraft taxiing and taking off from the western end of the runway. 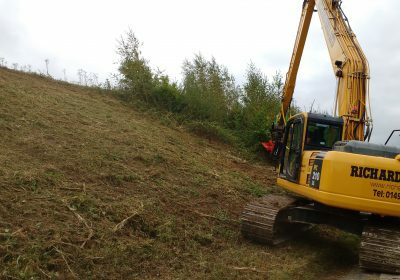 Vegetation, brambles, scrub and small trees were removed from the northern and western sides of the bund to ensure that the area did not become an attractive habitat for nesting birds and, in doing so, reduced the risk of potential bird strikes. 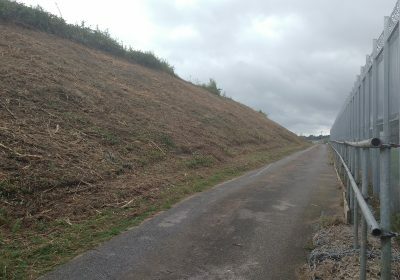 In addition, a number of warning lights and beacons located on top of the bund were becoming obscured by the vegetation, which could affect the operational compliance of the airport. This phase of the work too five days to complete and was undertaken in-line with strict guidelines established by the Civil Aviation Authority (CAA) in relation to airside grass, as well as complying with wildlife hazard management rules. The bund presented many unique challenges for Glendale’s team, particularly due to the size, gradient and poor ground conditions that made it unsafe to complete the work using the equipment the team has available for work on banks around the airport. After undertaking extensive site surveys, comprehensive risk assessments and pre-site condition reports, the team hired a 23 tonne Komatsu excavator, fitted with a 15-metre reach boom and Awhi mulching head to complete the project. 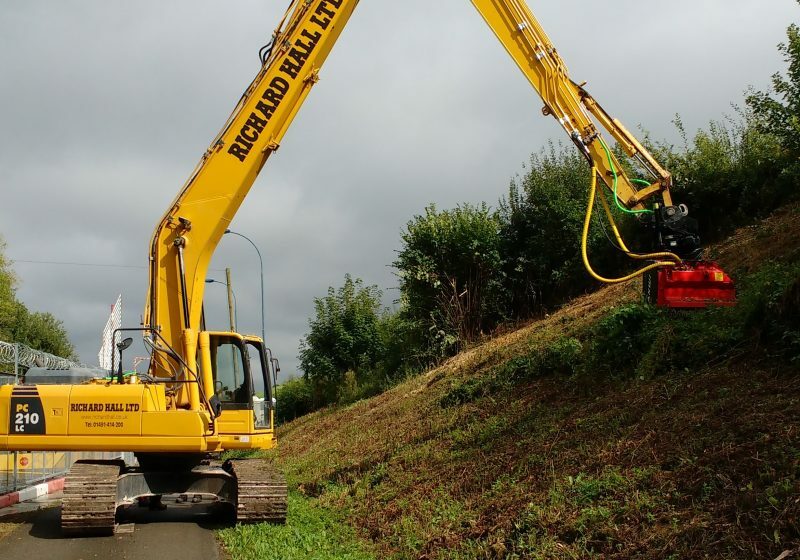 This specialist piece of kit gave Glendale the capacity to reach and clear 95 percent of the vegetation on the bund. Due to the size of the excavator in operation, and its proximity to other site users, the project required a Gatwick Airport Notice (GAN) to close the road at the bottom of the bund, and a crane permit was put in place as there was a chance the work could exceed safe height limits. The success of the first phase resulted in Glendale being asked to undertake the next phase which will involve the clearance of the remaining sides of the bund.